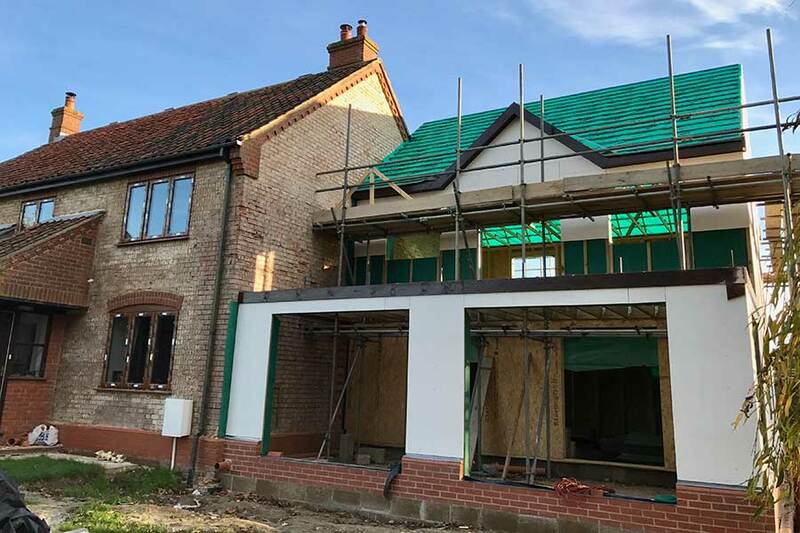 A pre insulated 2 storey timber frame extension with a pozi joist floor system and a fibre glass flat roof. 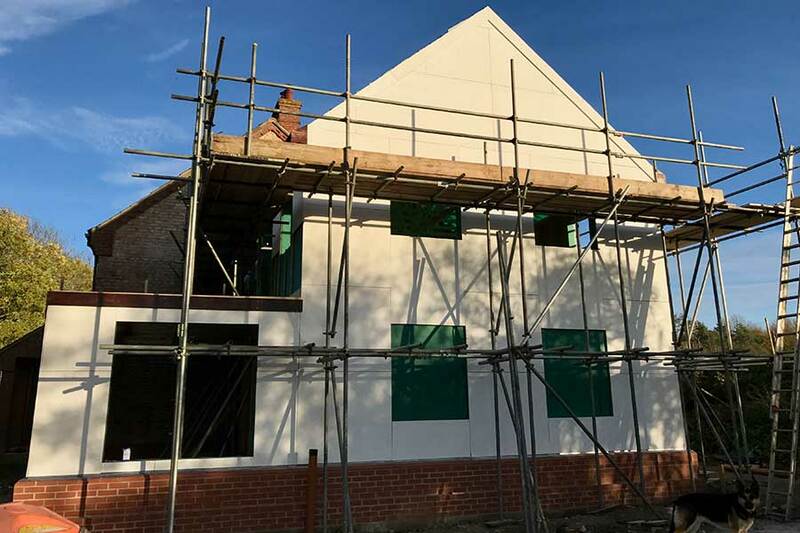 A render carrier board was fitted to the outside of the building to take a pre coloured silicone render which will be continued onto the existing house seamlessly bringing them together. Matching the brick plinth and using reclaim pan tiles also helps blend the new and old. 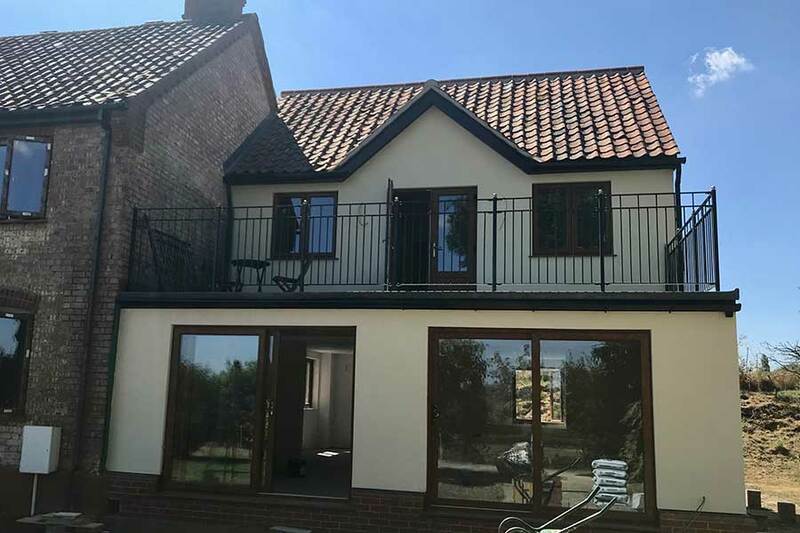 The balcony and good use of glass makes the best of the valley views on this Norfolk timber frame extension. 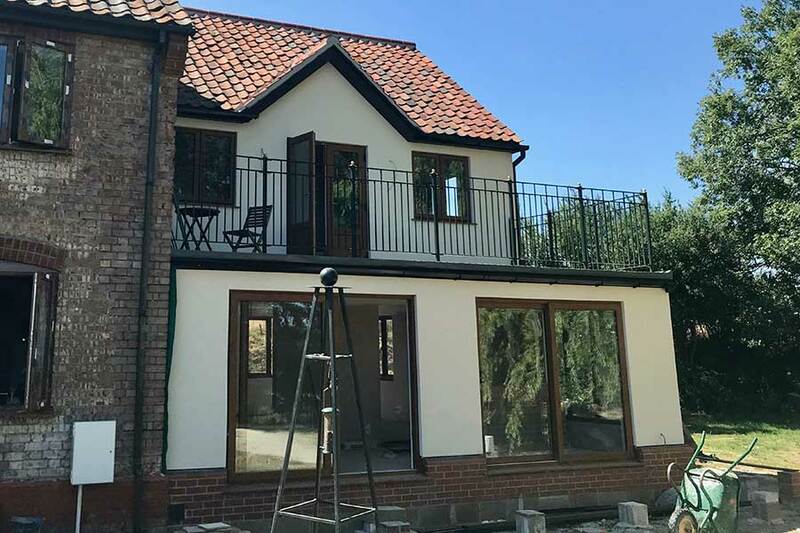 Like many of our extension projects the success of this build relied heavily on our excellent working relationship with the customer. And we look forward to working on the house renovation in phase two. 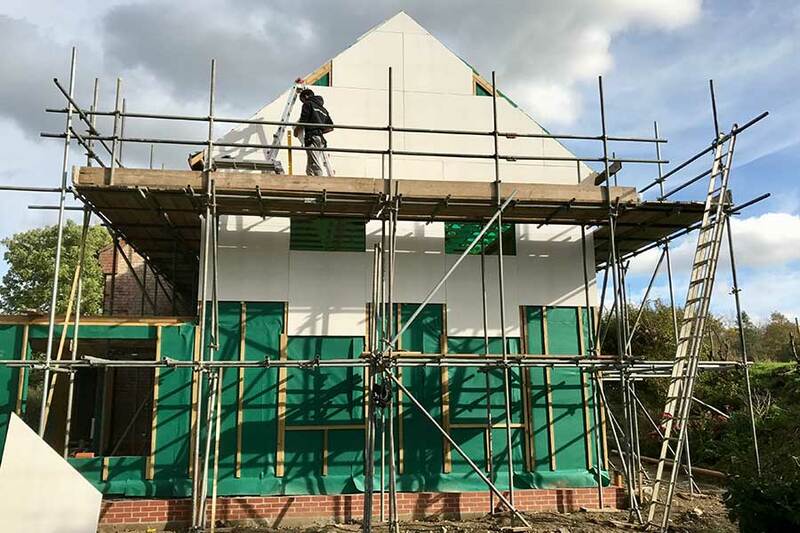 Daniels Vincent built a three bay timber framed garage and a two storey extension for us, in Starston. The work was completed on time and on budget and was done to a high standard. It still amazes us how quickly it went up and the guys who did the work were friendly and helpful; though they ate and drunk us out of tea and biscuits. They also did some additional work (laying an oak floor and fitting some doors) which they did at short notice and despite some difficulties with the materials (purchased by us) which were overcome with an excellent end result. They showed flexibility in their approach and had a positive attitude, throughout.